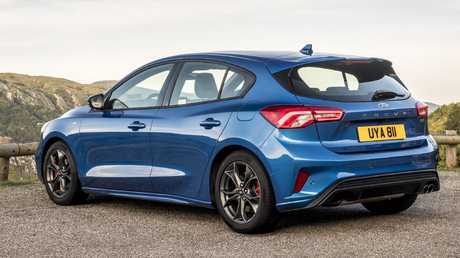 Pricing has been announced for the new Ford Focus hatch and wagon due in showrooms in December 2018. Picture: Supplied. 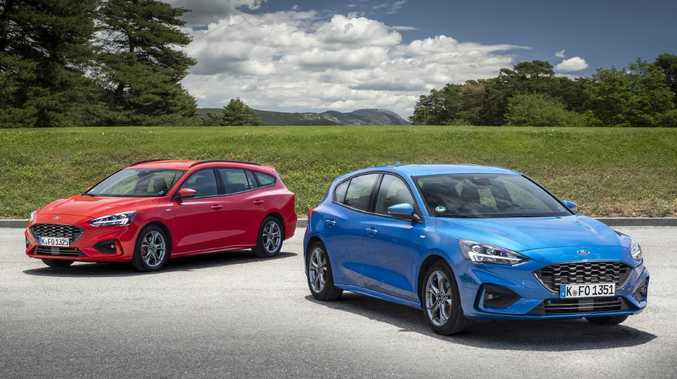 Ford is the second company in two months to increase the cost of its latest hatchback, after Toyota's new generation Corolla was hit with a $4000 increase that pushed its starting price past $28,000 drive-away. 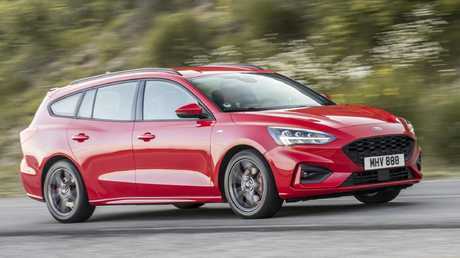 When it arrives in showrooms later this year the starting price for the new Ford Focus hatch will increase by $2600 to $25,990 before on-road costs are added - likely to calculate out to at least $28,990 drive-away, or $4500 more than the current discount offer. 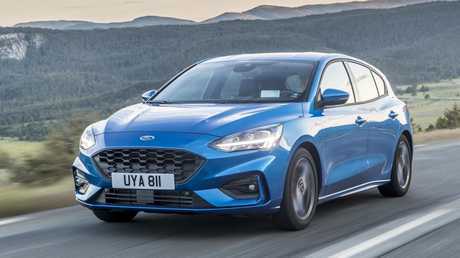 Ford's new three-model Focus hatch line-up will be powered exclusively by a turbo three-cylinder 1.5-litre engine (134kW/240Nm) matched to an eight-speed auto. A wagon will be available in one trim only, the sporty ST-Line. The Ford Focus will undergo a price rise with the arrival of the new model from Germany. Picture: Supplied. Technology such as autonomous emergency braking - with cyclist and pedestrian detection - and lane-keeping tech will be standard, but other advanced safety features will be optional on all but the most expensive model. All models will have Wi-Fi hotspot capability, and "My Key" which gives parents the option of limiting the vehicle's top speed and maximum audio volume on a second key loaned to teenage drivers. A wagon will also be available in one grade only: ST-Line. Picture: Supplied. The flagship Titanium is $34,490 plus on-road costs and gains an additional "driver assistance pack" including rear cross-traffic alert, blind spot warning, and radar cruise control with stop and go, which is a $1250 option on the other two grades. The interior of the Ford Focus ST-Line, European model shown. Picture: Supplied. As with the current Focus the new model will be covered by Ford's new five-year/unlimited kilometre warranty. The new Focus was styled by the same designer who penned the final Ford Falcon. Picture: Supplied.